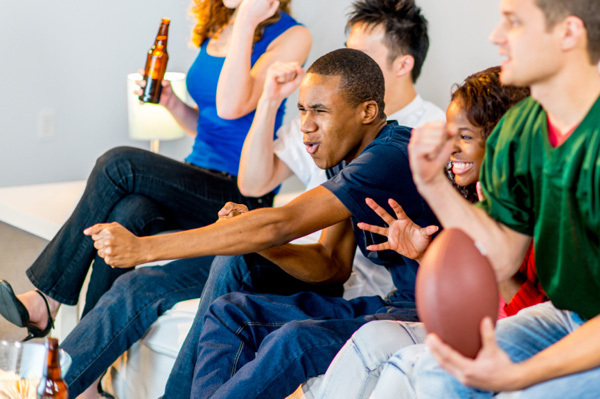 From cheering for your favorite teams to enjoying game day fare, Super Bowl parties are fun to attend and even more fun to host. Our Super Bowl party plan includes everything from Super Bowl party food to Super Bowl party decorations and will keep your littlest and biggest fans happy. Our Super Bowl party plan includes everything from Super Bowl party food to Super Bowl party decorations and will keep your littlest and biggest fans happy. The game rules for throwing a fabulous party are to keep things simple and to leave time to enjoy your guests and all of the fun you’ve created. Focus on the details in advance so your game day is all about enjoying the moment with your guests. Taking a page from Seri and Michelle’s playbook, here’s the plan for Super Bowl Sunday! Super Bowl inspired coloring sheets can be found on free sites such as YesColoring and OnColoring. Have a variety of choices and crayons, markers and colored pencils available, and the kids will be entertained for longer than you might think. Cookie decorating is always a big hit. Pre-make simple cut-out cookies and have team color frosting, gel decorating tubes and sprinkles available for a messy but sure-to-please activity. Signature cocktails raise the fun a notch or two. This year, try these perfect team-themed cocktails. They’re simple to make and are sure to please. Mix the ingredients in a shaker and pour into a chilled tall glass. 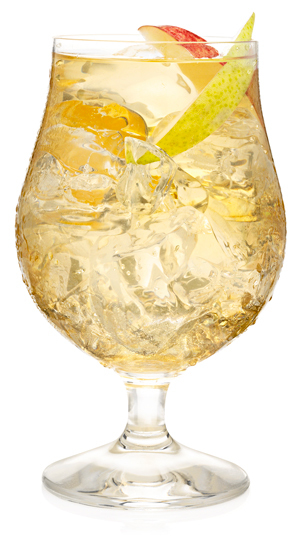 Garnish the glass with an apple slice and enjoy. 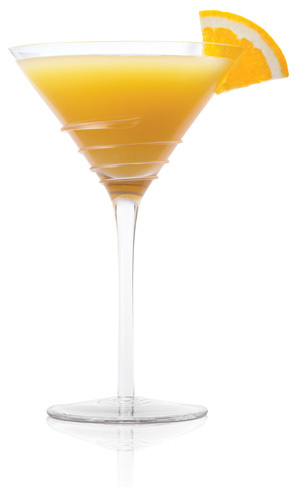 Pour the Skinnygirl Tangerine Vodka and orange juice into a cocktail shaker with ice. Shake the ingredients and pour into a martini glass. Some of the best memories are made gathered around the table — or the counter — enjoying delicious food with family and friends. Consider keeping food simple and pre-made. Put in your kitchen time in advance so you can fully enjoy the party you’re hosting. Set up a party food bar. Everything from chili to tacos to sandwiches can be served “bar style” with the ingredients displayed in pretty serving dishes so guests can create their own meals. Try a tasting. There’s something fun about small bites and lots of variety. Consider serving two kinds of the same food, such as traditional chili and white chicken chili or spicy salsa and fruit salsa. Servings can be small — think soup “shooters” instead of bowls — for this serving style, and from appetizers to main dishes, this is such a fun take on party food. Chips and dip are a game day tradition that there’s no need to shy away from. Buy a variety of fun chips and serve them with great dips. 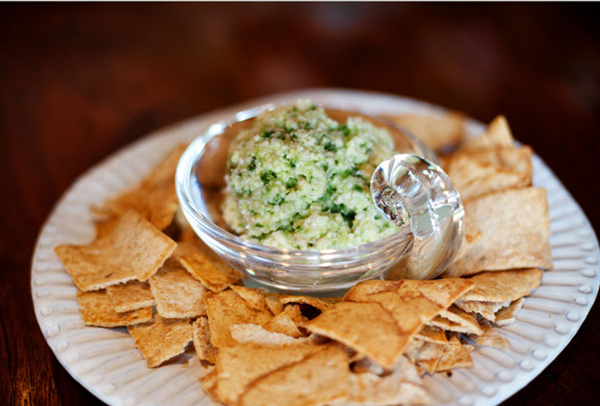 We love Valerie Rice’s goat Gouda dip and bean dip for perfect crowd pleasers. 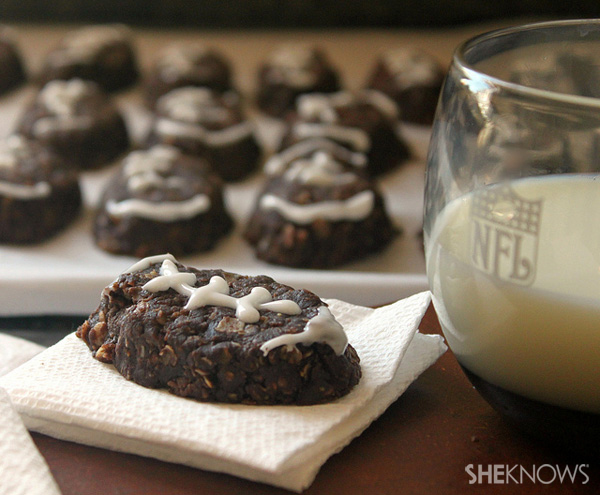 And lastly, sweeten the night with game-day treats. An ice cream sundae bar, football shaped cookies or a sheet cake with green frosting to look like a field are fun and simple ways to end Super Bowl Sunday on a sweet note.